Venice is a labyrinth of pedestrian streets and bridges where alleys intertwine with miles and miles of canals. In the summer visitors out-number locals by two to one, but there is a reason for this – the city is breathtakingly stunning. So where do you stay when you go to Venice? We have the answers! Read on to discover our top luxury hotel and apartment recommendations in this beautiful city. If you are visiting Venice as a group and want to stay in an apartment which oozes sophisticated period luxury then we highly recommend Palazzo Grimani. Located near San Marco, across from the Gritti Palace and boasting views out to the Grand Canal, this property sleeps six and feels like a palace. The property has been recently restored in a highly sympathetic manner to bring a new lease of life whilst still maintaining and enhancing many of the elegant and original features of the building. Luxury interiors include marble bathrooms and all modern conveniences, chandeliers, terrazzo flooring, stunning antique furniture and even a grand piano. You won’t be disappointed! The Hotel Danieli is a Luxury Collection Hotel and the patrimony of Venetian excellence. Located on the Riva deli Sciavoni overlooking Venice Lagoon you are moments from the Bridge of Sighs and the Piazza San Marco. Set over three historical buildings connected by bridges. Rooms include marble bathrooms and don’t miss dining in the rooftop Terrazzo Danieli which provides views looking out over the city. 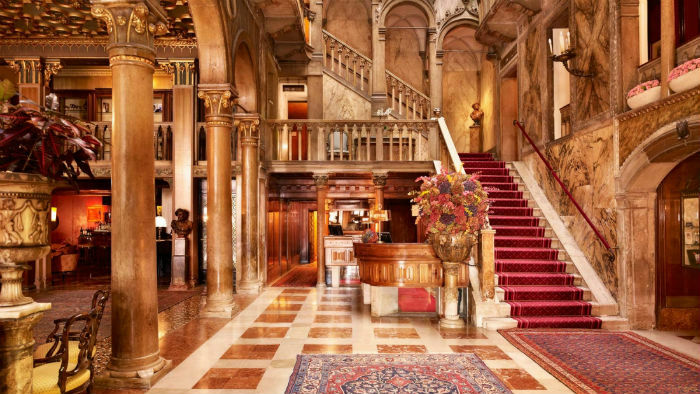 As Venetian as they come this hotel first opened its doors in 1880. Truly opulent and indulgent in design and in one of the best locations in the whole of Venice minutes away from St Marks Square and the cities luxury shopping quarter. The hotel has two unique personalities the BAUER L’HOTEL, a luxury, five-star hotel in art-deco style with a contemporary look and feel, and the BAUER Il PALAZZO, an opulent boutique hotel reconfirming its 18th-century identity. 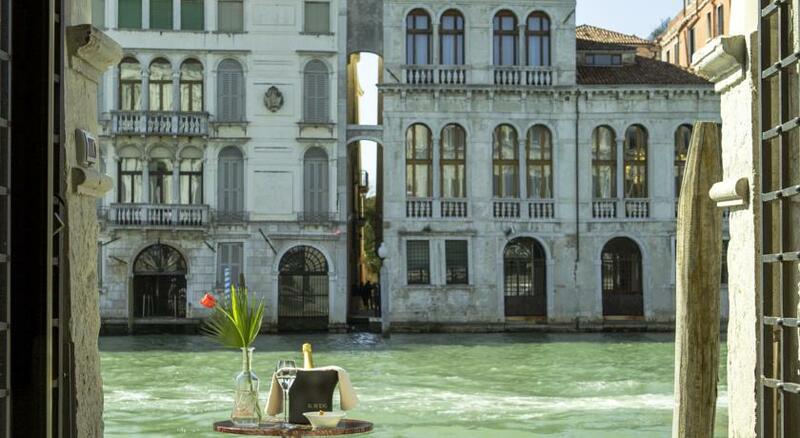 If you stay make sure you dine in the hotels restaurant De Pisis looking out in to the start of the Venice Lagoon. 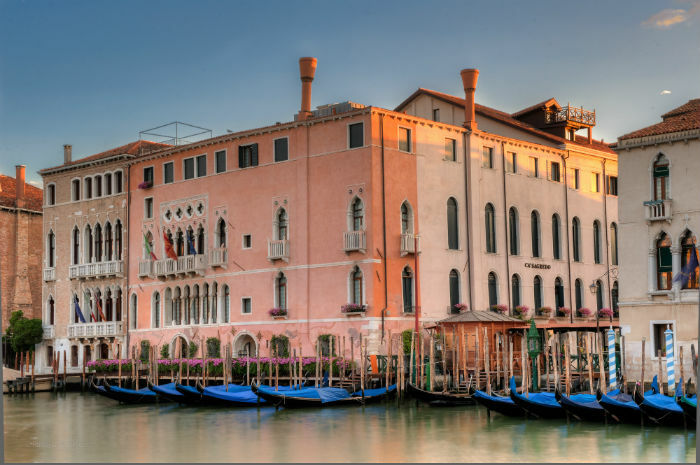 The Ca’ Sagredo Hotel is located in a 14th century property overlooking the Grand Canal. Smaller in size to other hotels we have mentioned with 42 rooms, it is part of the Small Luxury Hotels of the World. 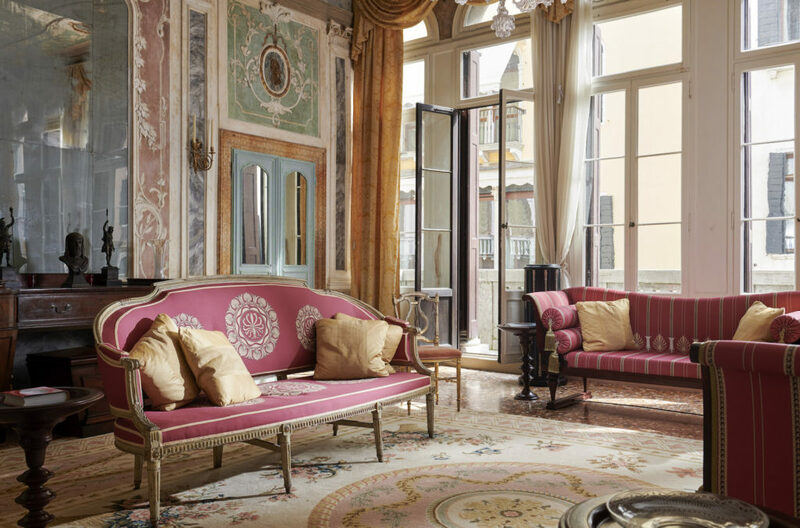 Finished in typically lavish Venetian decor rooms include antique furniture and original art works. Found in a quieter part of Venice you can avoid the crowds, but still be at Rialto Bridge in around 7 minutes. The second Luxury Collection property in Venice, the Gritti Palace is set in a former noble residence on Venice’s Grand Canal. 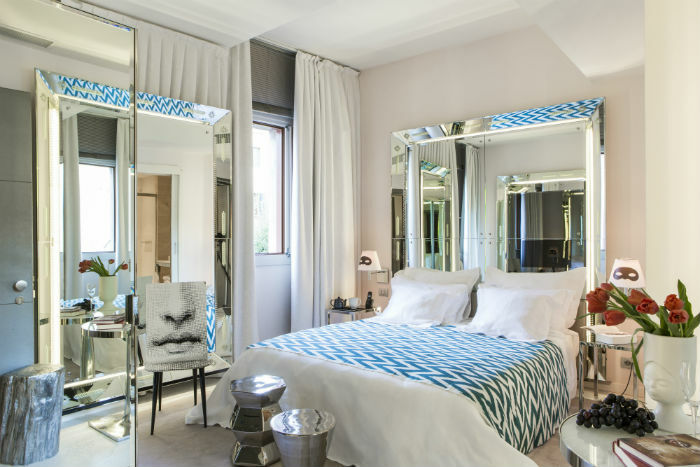 Rooms feature original antiques, chandeliers, french doors and 18th century wall lamps made in Murano. 5 minutes walk from Fenice Opera House and 550 yards from St. Mark’s Square and featuring incredible dining at the Club del Doge restaurant. 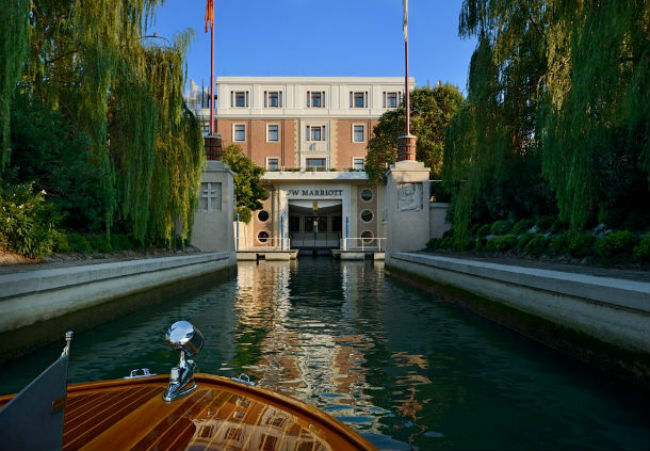 Away from the crowd the JW Marriott Venice is located on its own island in the Venetian Lagoon. A 13 minutes boat ride from Piazza San Marco and 9 minutes to the Bridge of Sighs. This 5 star resort and spa includes an outdoor pool, 4 restaurants, gardens to explore and a rooftop pool deck to sunbath at. 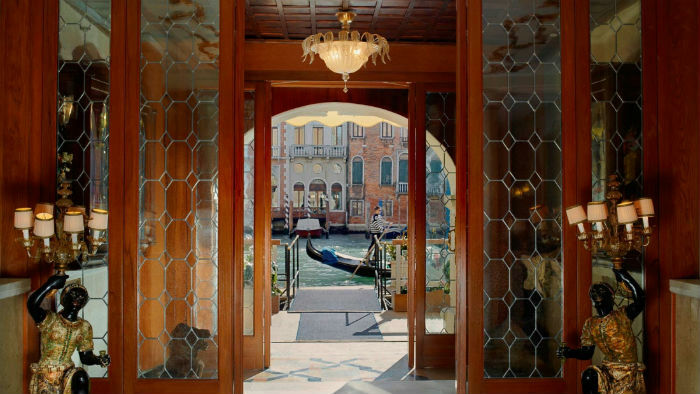 Palazzina G is located in Venice’s San Marco district just off the Grand Canal. It’s the first hotel in Italy designed by Philippe Starck. 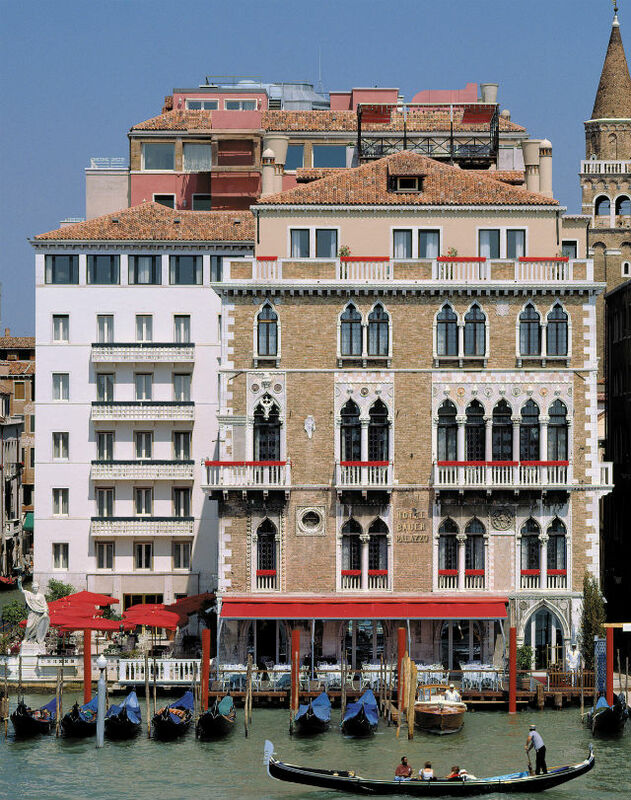 What was once a flour mill on Giudecca island has been restored into the 5 star Hilton Molino Stucky. This 379 room and suite hotel has the advantage of being on a separate island to the centre of Venice so you are away from the crowds but still conveniently close with the frequent shuttle boat service to the centre of Venice. What really makes this hotel special is the rooftop pool which we absolutely loved when we stayed there.